Posted on 7, January 2016 by EuropaWire PR Editors | This entry was posted in Automotive, Germany, Industrial, Technology, Transportation & Logistics and tagged CES 2016, environmental sensing technology, Stefan Sommer, ZF. Bookmark the permalink. FRIEDRICHSHAFEN, Germany, 7-1-2016 — /EuropaWire/ — ZF is using the Consumer Electronics Show (CES) in Las Vegas as a platform to highlight its leading position in environmental sensing technology. Through its ZF TRW division, the Company is reinforcing the unique capabilities of its camera and radar technologies and showing how these are helping to enable safety and automated driving features across the full range of vehicle segments. The next generation of front camera systems – the S-Cam4 family – includes a single lens, mono-camera version and a premium three lens TriCam version. The S-Cam4 mono-camera features a new form factor and is capable of supporting a wider field of view than the company’s current production cameras, in order to address future market requirements such as Euro NCAP’s AEB tests for crossing bicycles and other vulnerable road users. The TriCam features a telephoto lens for improved long distance sensing and a fish-eye lens for improved field of view at short range. This combination better supports automated driving functions such as Traffic Jam Assist and Highway Driving Assist. Both are equipped with Mobileye’s EyeQ4 chipset – offering six times the processing power of the current EyeQ3. Both versions are planned to start series production in 2018 with a major European vehicle manufacturer. ZF TRW’s next generation radar family (AC1000EVO), will offer scanning ranges of up to 250m and significantly increased resolution for enhanced pedestrian detection capabilities. 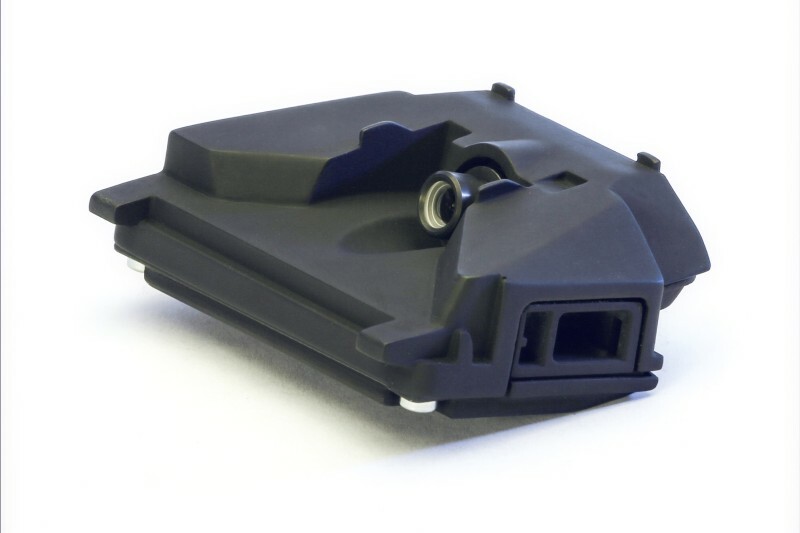 Based on a new chipset AC1000Evo will provide improved range resolution during city driving for better detection of pedestrians and other vulnerable road users for Automatic Emergency Braking (AEB), while maintaining a long range at higher speeds for traditional Adaptive Cruise Control (ACC) applications. The next generation of ZF TRW´s S-Cam4 mono-camera features a new form factor and is capable of supporting a wider field of view than the company’s current production cameras, in order to address future market requirements such as Euro NCAP’s AEB tests for crossing bicycles and other vulnerable road users.